Air handlers, and air heaters and curtains. 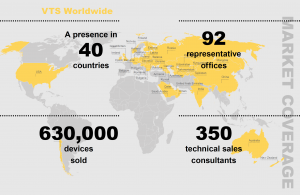 VTS Group is a leading provider of Ventus air handlers for commercial applications, focused on offering innovative products at competitive prices with a quick turn-around. The group is the No. 1 provider of air handling units in Europe and leading provider in the world, with established platforms across quickly developing markets of the Gulf States, China, and India, a thoughtful mixture of greenfield investments and acquired businesses. VTS offers streamlined, flexible and innovative AHU with a wide range of applications covering market needs at competitive prices. VTS entered the American market in 2014 with a product Line called Ventus Born in the USA, that combines European technology and American sustainability, offering Ventus air handlers tailored to the needs of Americans. Ventus born in the USA air handlers are available in either horizontal or vertical configurations, and the unit offers a wide range of applications, providing a low-cost method of air conditioning and/or heating buildings at the same time. 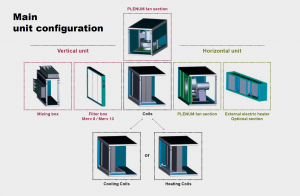 The units can be configured for different inlet positions for easy duct connection, so as the components inspection panels, which can be specified for the right or left side. awareness in this market of global application successes to date. Ventus is committed to determining new standards in the ventilation and air conditioning trade, developing solutions that are lighter, more silent and also distinguished by good operation parameters. To learn more about Ventus, click here.